One obvious suggestion would be that people go into the trouble and expense of getting the scratch card because they have some particular significant information need, or emergency which requires conversations at considerable length. Then the question becomes, how is it that these events re-occcur with considerable regularity, approximately every month? A variant of the same scenario would be the use of the airtime for a short but expensive conversation. For example, parents in Liberia calling their children overseas. A completely differnet way of looking at it, would relate to the nature of the social networks people are part of. Say, for example, if someone has enough money to buy credit then he/she is expected to get in touch with many people in order to re-affirm their identity as part of a group. Yet another scenario would be that once someone had airtime credit on their phone, the airtime credit is considered communal. So the people in their immediate surrounding feel entitled to use the phone. What do you think? Any suggestions on the matter? Services are offered at Liberian markets independently, or as adding value to other products.Independent services include services provided by the Liberian Marketing Assoiciation such as schools at the premises and child care. They also include catering services, provided by individual cooks offering food to people visiting the markets as part of their daily routines. 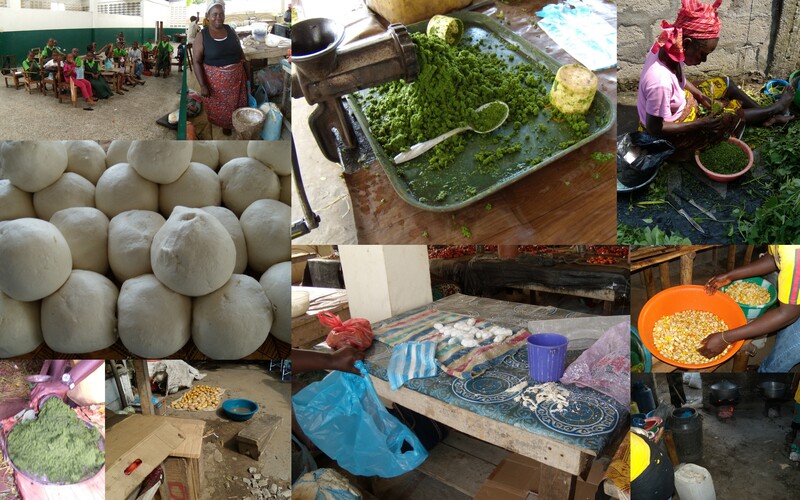 Some market traders are involved in the provision of added value services complementing their main marketable products. Generally, the services appear to be attached to low value products such as cassava dust balls, starch, ground greens, etc. Greens, for example are a fascinating case. They are very perishable, low level products. But the individuals involved in their provision seem to possess considerable entrepreneurship, initiative and resilience. Even though they have modest means, they are able to procure the greens without need for access to credit. In the procurement process they visit multiple farms, monitor the readiness of the greens for harvest, and often exchange current information about the quality of greens available at different farms via mobile phones. As greens are perishable and usually are ready for harvesting every 6 months, the monitoring process is rather demanding. Once they procure the greens, the traders add to the value by grinding the cassava leaf and by cutting the fever leaf. Thus they are able to offer their customers greens in a state suitable for immediate cooking. 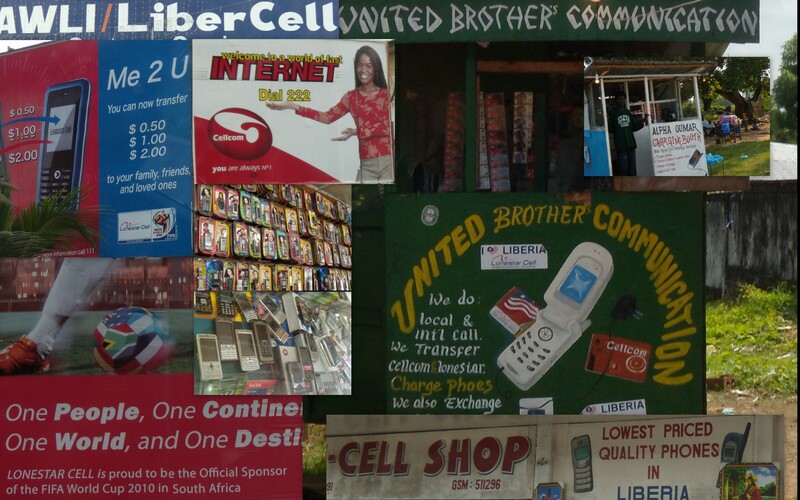 Mobile telephony is widely used in Liberia! Just like in many other places your mobile phone number is the information about you people are interested in knowing immediately after hearing your name. 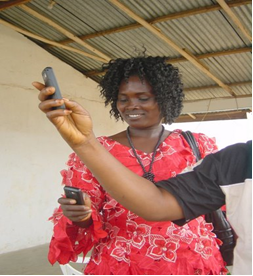 Mobile telephony has become a major part of the daily life of people in cities, as well as of those of rural dwellers. While the constant occurrence of unforeseen circumstances can be seen as the main reason for the use of mobile phones in cities, in rural areas mobile phones are used mainly because of their communication capabilities. People in the countryside are using mobile phones in order to overcome their geographical removal from close relatives, services (medical, emergency), or events. They use mobile phone to get away from spatial isolation. I suppose there might be other media used in Liberia for communication in the rural areas. Radio would be a prime candidate. It is a media that can be a very successfully build the social fabric across distances. 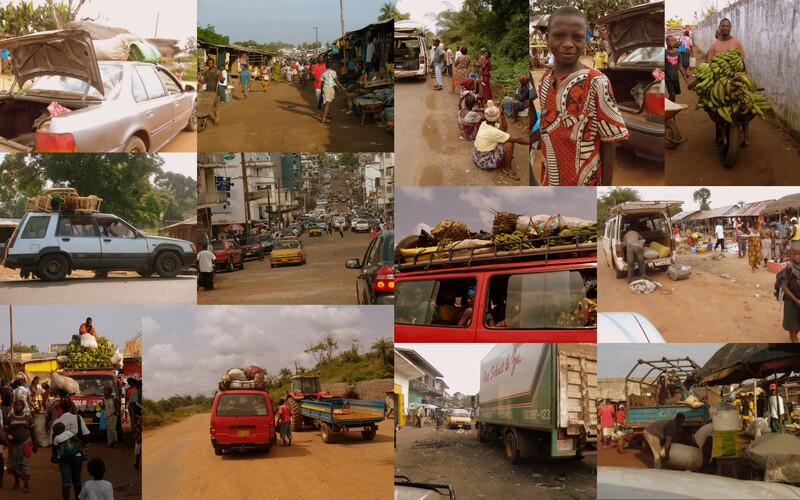 What is the level of radio provision in rural Liberia? Does anyone know? Because of the devastation in the country during the civil war conflict, fixed line telephony is not a viable substitute to mobile telephony in Liberia. Even though in Monrovia I was able to see a few fixed line telephones, quite unlike mobile phones I was not able to see them in use.